Home > Real Estate - Investment > Is this the right time to invest in Indian Residential Real Estate? 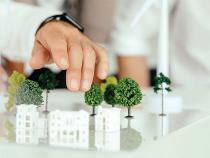 Is this the right time to invest in Indian Residential Real Estate? Buying real estate is widely considered a safe bet by Indian investors, even though the market might show otherwise. Like every other market, real estate too has its highs and lows. For instance, the real estate market boomed between 1988 and 1994, and most property prices went up by over 10 times during this period. However, the bear market that followed was very challenging. By 2002, many properties were being put on the market at half the peak price they achieved in 1994. Buying real estate is widely considered a safe bet by Indian investors, even though the market might show otherwise. Like every other market, real estate too has its highs and lows. For instance, the real estate market boomed between 1988 and 1994, and most property prices went up by over 10 times during this period. However, the bear market that followed was very challenging. By 2002, many properties were being put on the market at half the peak price they achieved in 1994. If one considers the ..